Glavin & Ronan Accountants Fermoy, Co. Cork & Lismore, Co. Waterford. 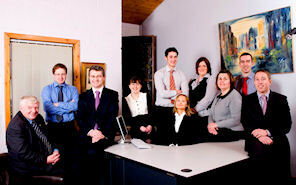 Glavin & Ronan, Chartered Accountants & Registered Auditors - Fermoy, Co. Cork & Lismore, Co. Waterford. We welcome new enquiries and initial consultation is free of charge. To arrange a consultation contact us today. We are next to the Courthouse in Fermoy; as you face the front door we are the building on the right. 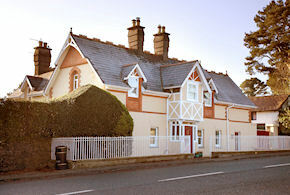 On the left of our offices is a vehicle entrance and we have staff/client parking at the rear. Sat-nav: If you have a sat-nav, enter Q70-91-LT5 in the section for postcode and you will be brought straight to the door. Glavin & Ronan have ten staff in total, including the partners. We have two qualified accountants and one IATI; the remainder of the staff are graduates and are studying for professional exams. The practice has trained graduates since it's formation and we find that this influx of new , younger blood is a constant source of renewal and energy for the practice. We invest continually in professional courses and technology in order to stay up to date.